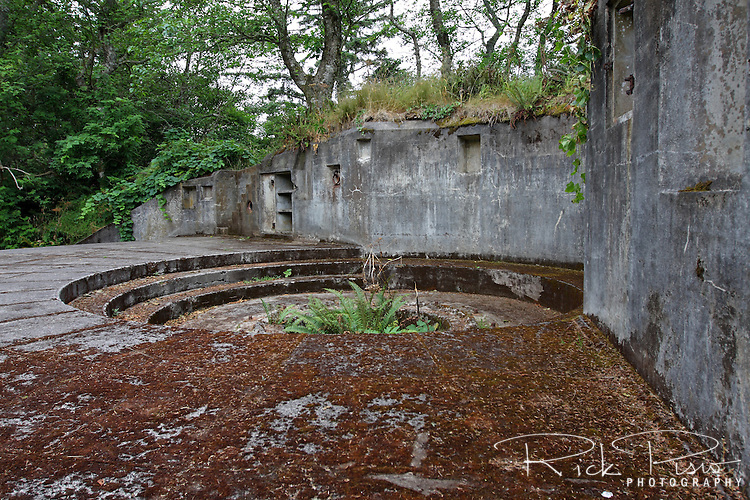 A gun mount for the the Battery Harvey Allen gun battery sits abandoned in Cape Disappointment State Park. Once part of Fort Canby, Battery Harvey Allen was a concrete Endicott Period Battery guarding the entrance to the Columbia River with three, M1903 6" guns mounted in M1903 disappearing carriages. It was part of the Harbor Defense of the Columbia and was decommissioned in 1945.